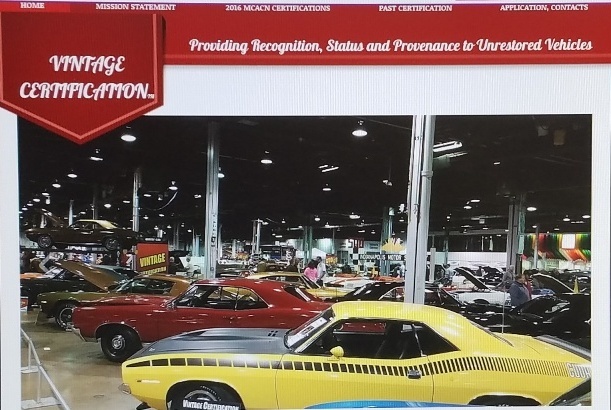 Since the First time my Father carried me into a Local Chevrolet Dealership in the late 60's,I was forever fascinated with all the Cars Chevrolet Designed,as well as the Merchandising of them to the Public.As I grew older,one car stood out among the rest to me.The 1970 Chevelle Super Sport. From then on I collected and researched as much as I could about it,as well as all the other Chevrolet Cars from that period. Once the Finances allowed it,I bought a Car that I felt was Just right For me. This Chevelle was delivered to R&amp;S Chevrolet In Joplin Missouri on Oct.30th,1969.Once it was sold to it's first owner,it was soon Reposessed by the Finance Co. It was then Sold again to a Mark Copeland in Joplin,who enjoyed racing it on the local Blvds. Life Beckoned,and he soon had to move onto lifes other issues.He stored it away until 1988,when well known Collector Randy Miller bought it,with plans of restoring it, but sold it to pursue a car from his youth later on.Richard Plemmons Completed a Full Frame off rotisserie restoration in 1994.And to this day,I continued to give it my full attention to detail. It has been shown at past Chevelle Showdowns,and current Chevelle-Abrations when possible,and other National Midwest gatherings. One of only 2144 1970 Chevelle L78's Built briefly in the beginning of the 1970 Model year,it still retains it's original 375HP engine,TH400 Auto Trans.,(Less then half Built received this),and 4:10 Posi rear end. Painted the Correct Cranberry Red with a Medium Red Bucket seat Interior,along with the Std. Z-25 SS package,it also came with RPO ZL-2 Cowl Ind.Hood,and U14 Gauges,according to its Buildsheet.It's Odometer still shows the 46,000 miles it has traveled. While Participating at last Novembers Chicagos VetteFest,it was in Good Company Achieving a second Top Gun award.It's second in as many years.I enjoy Driving and maintaining it,but look forward to one day being able to Participate in an Annual PMCSDR event,and continue to making Good Friends along the way! R&amp;S in Joplin? I believe they got a Deuce or 2 as well! A pretty good area for muscle back in the day. I love, and I mean LOVE, the red guts on that car!! Which car was Miller pursuing when he sold this one? Was it his silver LS-6 by any chance? I secretly used Rick's website photos as a reference for the '04 Chevelle 454 SS project that we're doing with Hot Rod magazine. Cool color combination and beautifully restored! Rick,i am confused, i thought you told Rick N. and i that you restored this car in your garage? did you own this car in 1994? Did the guy you mention restore it for you or himself? Please shed some light on this for me.It is truly an awesome car. Beautiful car ! ! ! ! ! Sweet Ride, but I gotta admit, the pix don't do it justice. We participated in a "Clinic" at VetteFest in November of 2002 with two Survivors and two Restored cars. Rick's car was one of them so I had the opportunity to get intimate with the car. If anyone ever gets the chance to view this piece in person don't pass it up. I was fortunate to be positioned next to Ricks car for 3 days at the November Vettefest and watched first hand as 2 sets of judges tried in vain to find fault with the car. They didn't find anything after nearly and hour of searching. Then he drove the car home in an ice storm! Great car. Hands down beautiful master piece.I've had two in my lifetime and question myself for selling.Nothing like cruising or ripping it up a little in one of those cars.Searching for magical number three.Great car. Where can I get some of those paper "On the Move" floor covers? These add great detail to a gorgeous car. Beautiful color combo. Great car Rick!!!! Never knew it was an ex Miller car. You just know it had to be sweet if it caught Randy's eye. If'n ya make it to the PSMCDR as hoped, make sure you look me up, and I'll see if I can find you a Canadian beer at the end of the day!